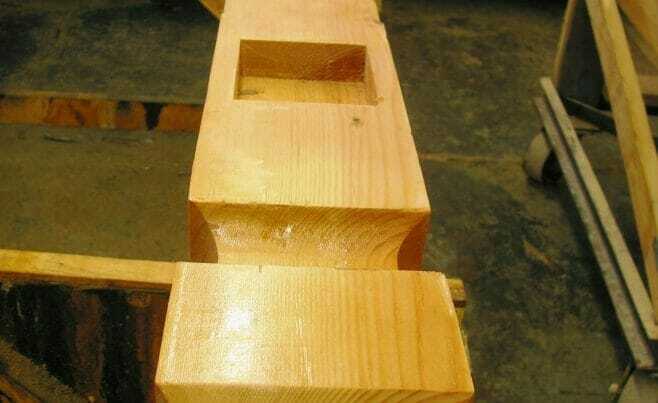 Planing timber smooth is great way to get an elegant look for your timber frame home. 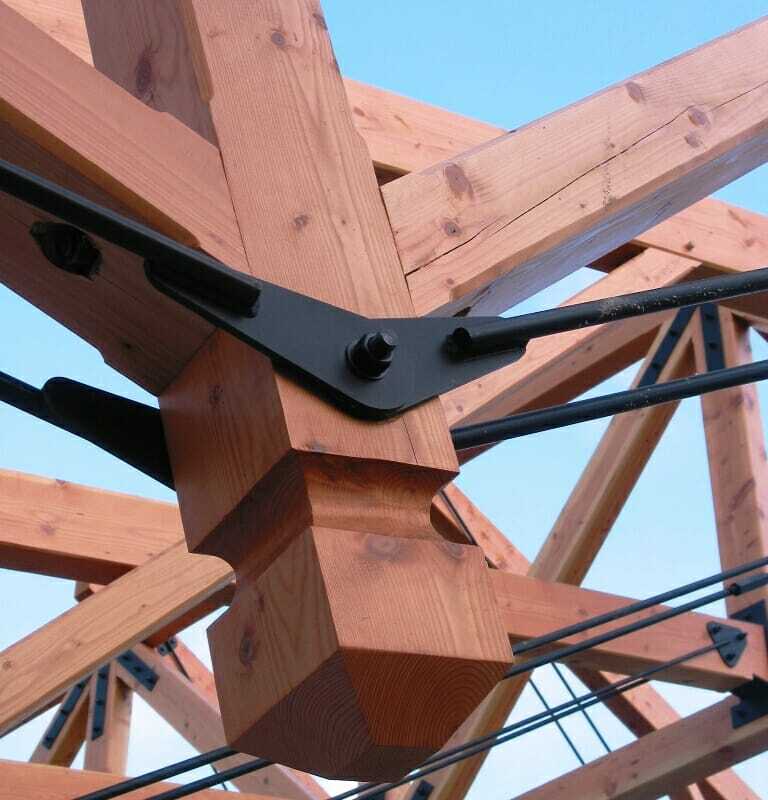 Technically, it is called S4S – surfaced four sides. 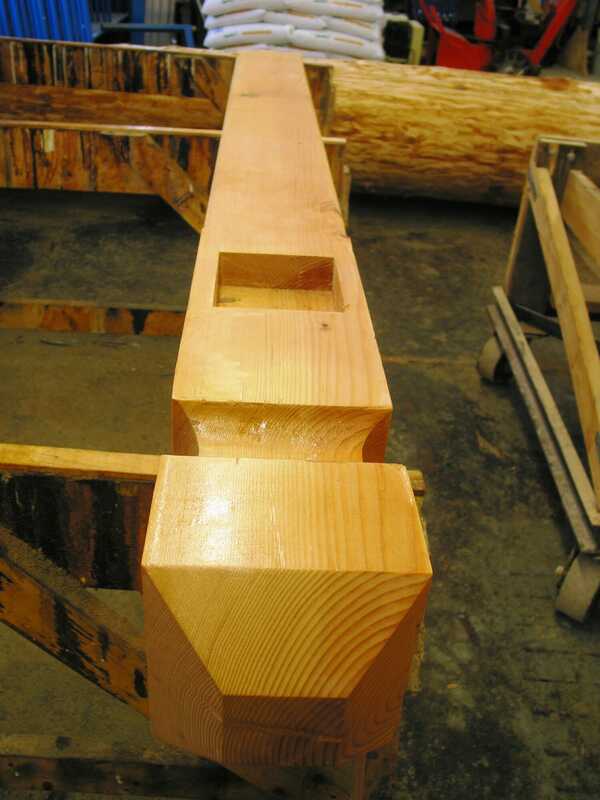 We order the beams planed prior to timber fabrication, then sand them smooth before we apply a coat of stain, urethane or oil. 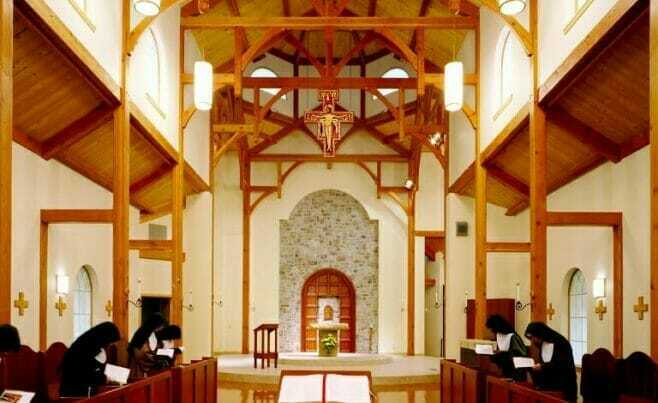 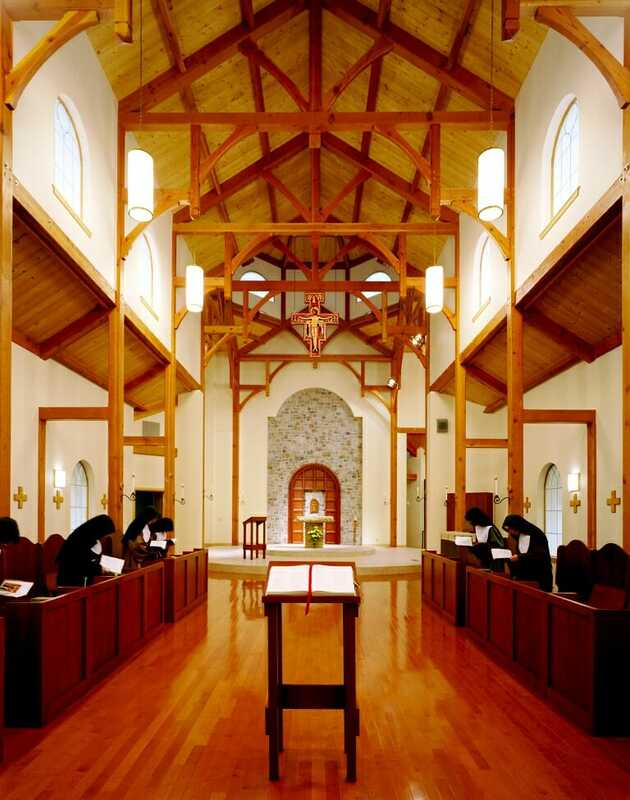 The Bethlehem Monastery is a heavy timber frame with elegant trusses and planed smooth wood beams.